The World Boxing Council Convention 2018 takes place at the end of this month. 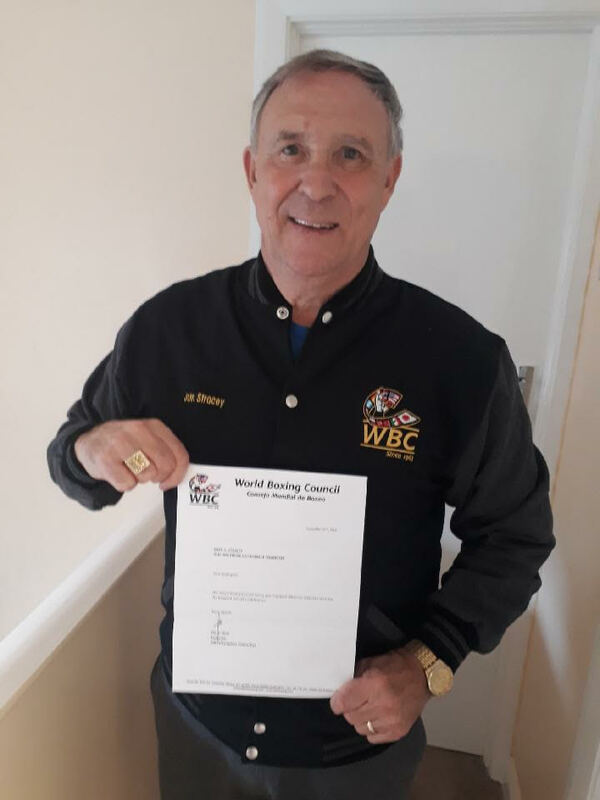 Tickets are on sale for the 56th annual World Boxing Council convention which is happening on the 30th September until the 7th October. It is a significant event in the boxing calendar which draws boxing professionals from across the world together in once place. The annual convention unites delegates from all member-countries and key boxers from all over the world. During the convention, participants discuss topical issues, plans and future fights. Current champions often find out their rivals, the candidates for the championship title. 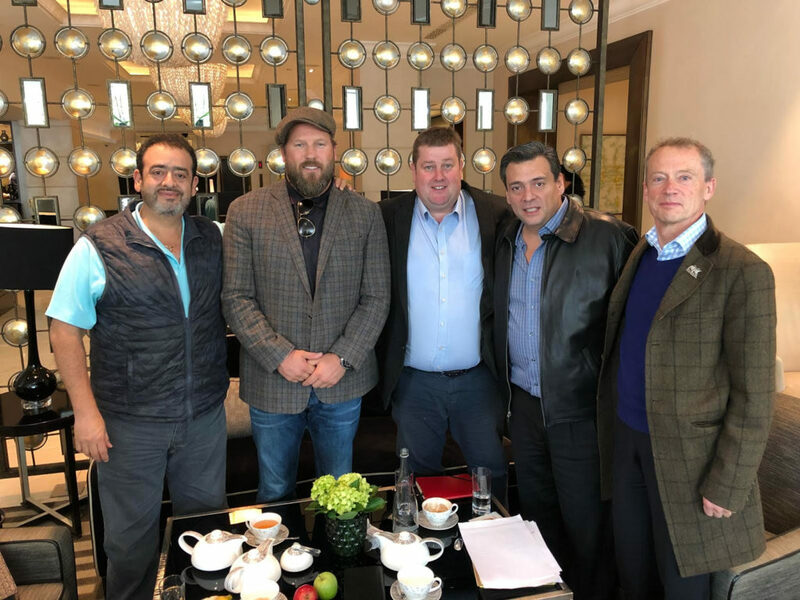 Pepe Sulaiman, Boxing Champ Scott Welch, David Walker, WBC President Mauricio Sulaiman and Paul Davis With Geraldine Davis (Not in Photo) met in London recently to plan the next 12 months of WBC movements in the UK. The WBC Convention is the largest boxing convention in the world! The great and the good from every aspect of the sport attend, from boxers to referees judges, promoters, managers doctors and many more. A lot of people find the rating and Mandatory’s the most interesting parts of the convention, where the promoters and managers can become animated on occasion arguing their cases for their respective fighters. Rules are reviewed and grievances are heard. The convention deals with the previous 12 months and the next 12 months and all the issues of the day are heard and discussed. It is very transparent and democratic. 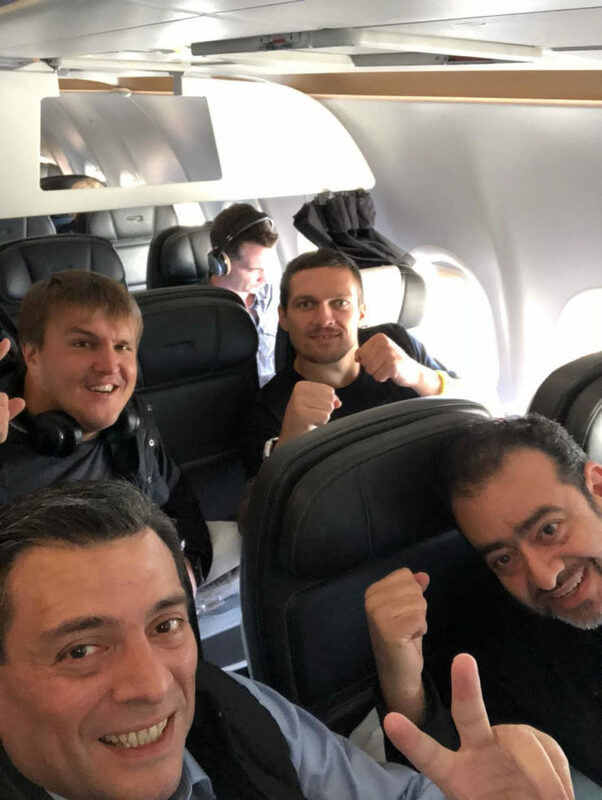 Undisputed WBC Cruiserweight Champ Oleksandr Usyk bumps into WBC President, both on their way to Kiev from London. Usyk will be fighting popular Champ Tony Bellew In Manchester 11th October in the most anticipated Cruiserweight Championship fight since Haye Macinerelli 2008. Erik Morales and Marco Antonio Barrera the great Mexican rivals will also be in Kiev. This year the prestigious event is going to be held at the luxurious Fairmont Grand Hotel in Kiev, Ukraine. It’s an elegant 5-star hotel, located just 18 minutes’ walk far from the beach. Situated in the centre of the Podil district, it offers a great base for the boxing convention and an excellent location to accommodate the WBC family. The impressive building houses 258 hotel rooms, including the extraordinary Royal and Presidential suites. The Fairmont Grand Hotel Kiev is ideally located at just 100 metres from the Kiev harbour on the Dnieper River and 70 metres from the Poctovaia Ploshad Metro Station. World Boxing Council hero and three times WBC heavyweight champion, now Mayor of Kiev Vitali Klitschko, is delighted to welcome his WBC family to the elegant and historic city that he calls home. Nicknamed “Dr. Iron Fist,” Vitali won the famed Green and Gold Belt of the World Boxing Council on April 24, 2004. He defeated Corrie Sanders in the Staples Center, Los Angeles, by KO. He went on to make 11 successful defences of his title between 2004 and 2012 when he retired. The capital city of Kiev is located in the north-central part of the country on the banks of the Dnieper River. It’s an important industrial, educational and cultural centre of Eastern Europe. Many legends of world boxing, promoters and sports managers will come to the event. It is also rumoured that boxing icons such as Mike Tyson, Evander Holyfield and Lennox Lewis will be attending. UK Boxers attending are WBC Hall of Fame all time great John H Stracey, Scott Welch form the WBC Cares UK and retired world Champion Glenn McCrory who will be presenting on with a panel of experts on hydration. We are incredibly excited about this magnificent event and look forward to meeting guests during the convention. You can reserve rooms here, including special rates for the WBC family. If you have any questions you would like us to ask one of the champions, we will try our best to get it answered and put it in our next news story!